On Saturday 4th November, Aquatec Maxcon Group was announced as the winner of Business of the Year at the 2017 City of Ipswich Business Awards, presented by the Ipswich Chamber of Commerce and Industry. There were over 450 nominations across nine categories for the awards, which highlighted the diversity and depth of talent within the broader Ipswich business community. 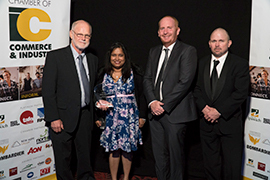 Accepting the award on behalf of Aquatec Maxcon Group, L to R: Greg Johnston, Monita Naicker, Peter Ferrando and Scott Blackwell. Photograph courtesy of Ipswich Chamber of Commerce & Industry. 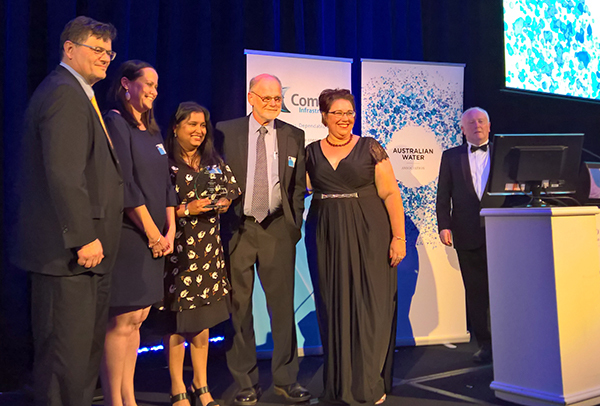 At the 2017 Australian Water Association’s Annual Queensland Gala Dinner, Aquatec Maxcon, along with South Burnett Regional Council, won the Infrastructure Project Innovation Award for the successful delivery of the Kingaroy Wastewater Treatment Plant (WWTP) upgrade. Martin Willemse, National Operations Manager, MPA Engineering, added "We are proud to have been the sole Electrical supplier for this project. This was a top class installation involving fundamental electrical, switchboard and control system design, and plant commissioning alongside our Aquatec Maxcon process engineers. A remarkable project completed by a great team. Congratulations to all involved". 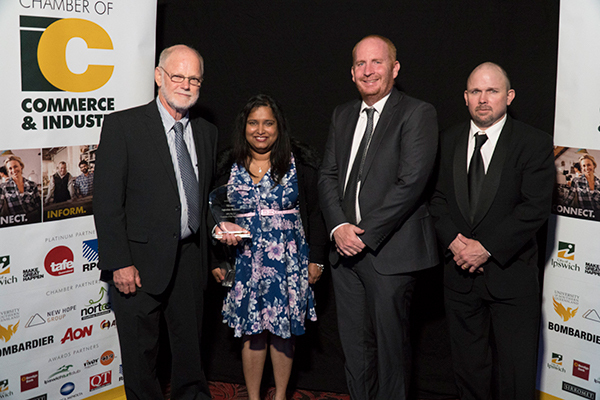 Kingaroy WWTP has achieved exceptional effluent quality together with significant reductions in both capital and operating expenses. It has also received special recognition by the Dutch Government which issued a postage stamp celebrating the relationship between Australia and The Netherlands. Aerobic Granular Sludge, Nereda® technology has become a sustainable alternative to activated sludge processes and is gaining worldwide prominence in the water industry with the largest plant under design in Dublin with a capacity in excess of 2million EP. Aquatec Maxcon is the exclusive partner of Royal Haskoning DHV, the technology provider for Nereda®. 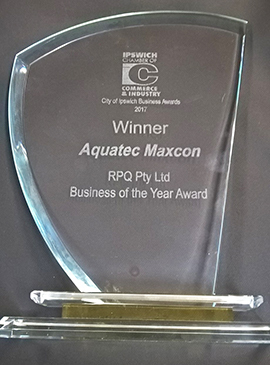 Aquatec Maxcon has been on the forefront of several successful introductions of innovative wastewater technologies to Australia including diffused air oxidation ditches, fine bubble membrane air diffusers and membrane bioreactors, among others that are now considered industry standard. Over the last ten years, Aquatec Maxcon has invested in excess of $20 million in research and development and is continually improving to find sustainable technologies for the Industry. Click here to view the Australian Water Association Media Release. In early 2017 MPA Engineering completed the electrical installation (including design and manufacture of LV switchboards) and commissioning for the Yarra Valley Water Biogas plant at Wollert, north of Melbourne. The facility, owned by Victoria’s largest water utility, is capable of generating 1MW of power 24 hours a day. About 100 tonnes of waste will be trucked to the facility from markets and food manufacturing operations each day and the produced biogas will be used to generate electricity. The generated power will be used to run the local water treatment facility and any surplus will be exported to the electricity grid. 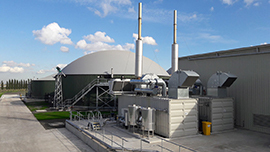 The Yarra Valley Water biogas plant was the winner of the AD (Anaerobic Digestion) and Biogas Industry Award 2017 (held in the UK) for Best International Commercial Plant.